What a great summer it has been so far. July started with a much needed vacation to my home town in Marquette, MI over the week of the 4th. It was the first time in over 3 years that I have been in town and NOT had a show to play. At first it was a little strange. No running around rehearsing, getting equipment together, coordinating everyone involved, none of it. Just sitting at home enjoying the clean air and great water. blocks from my house. It was with Ann Arbor Kirtan. 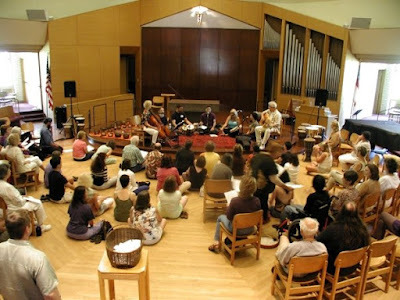 We played for an hour for a Day of Healing and Meditation at the Ann Arbor Genesis Center. I had to go a few hours early to set up the sound system. They had a whole bunch of "healers" lined up to do their thing. There was guided meditation, a Tibetan singing bowl demonstration, group singing, and of coarse, Kirtan. The very next day was an exciting one. 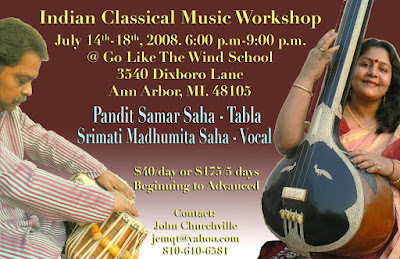 I was on my way to Fenton, MI to pick up my Guruji, (teacher) Pandit Samar Saha and his wife Madhumita. They were on tour in the U.S. and would be in Michigan for a week and a half. 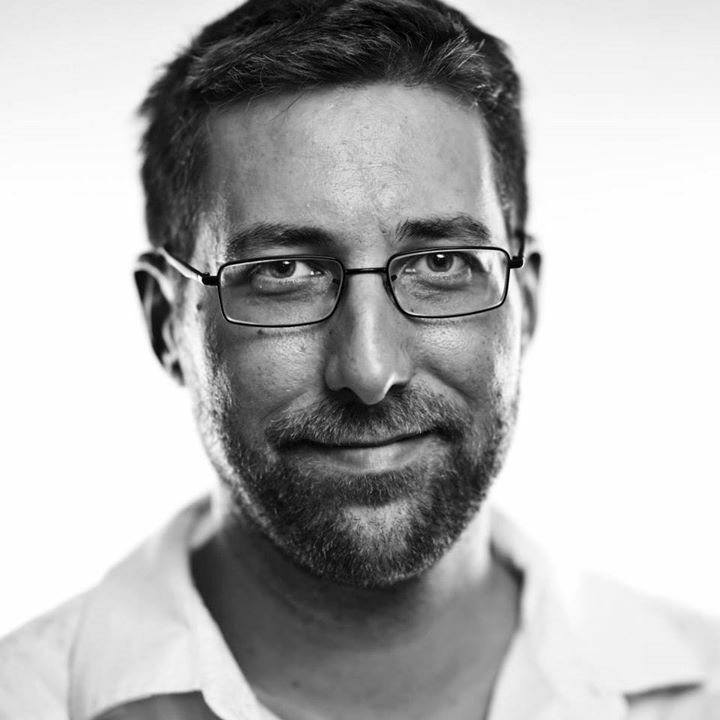 I had spent the past few months arranging a week long workshop and two shows. The workshop was very exciting. I had advertised by e-mail only and got a great response. A big thanks goes out to Doug Collier, the administrator at Go Like The Wind School for allowing me to take over the building in the evenings. It was a very nice set up, all the tabla classes happened in one room, the vocal lessons in another and then there was a room available for practice. In the hall in between the rooms was a cart with tea/coffee and cookies. In all there were 17 participants. I was thrilled to see most of the Ann Arbor Kirtan group taking lessons as well. On day one, all the tabla players sat in the room and Samarji listened to everyone play so he could see where everyone was at in their playing. He then split them up into groups and started working on a more individual basis. The groups not taking the lesson would sit in another room and practice. The vocal workshops was where I ended up spending most of the time. There were a few people coming and going throughout the week, so there was a different group every night. Towards the end of the week my friend and band mate Scott Brady showed up with his bansuri flute and started learning some songs. 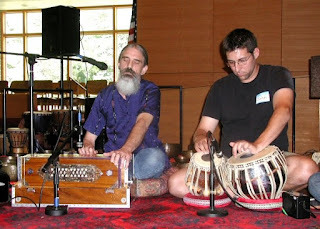 I played tabla and Dennis Chernin, (from AA Kirtan) sang. It was fun to be part of that process. When the week was over we all shared in a meal and then snapped a group picture. Thanks to everyone who participated. It was a great time! Next time I think I would like to arrange for a retreat style workshop where everyone stays in the same place for a few days where the only focus all day is music. We'll just have to wait and see. So as the workshops came to a close it was time to prepare for a big show on Saturday. I had arranged a group (featuring Samar and Madhumita Saha) for the Concert of Colors in Detroit. 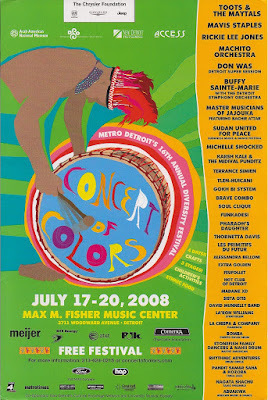 It is a great event that has been going on over 15 years in downtown Detroit at the Max M. Fisher Music Center. Judy Piazza was in charge of getting groups for the Rhythm Stage and I told her about the show we put on last September in Marquette. She said it would be great to have that same thing at the Concert of Colors, so we made it happen. This time the group consisted of Samar Saha on tabla, Madhumita Saha on vocals, Prashanth Gururaja on violin, Scott Brady and Dave Gilbert on saxophones, Ken Kozora on bass, and myself on drum set. With just a couple days to prepare, the pressure was on to put on a great show. We had Thursday night to get our sound under control and try some ideas we had been working on. Then Friday we worked all morning putting all the ideas together into on solid hour of music. Saturday morning we polished the set off and everything was sounding great. We left from rehearsal and ate together at an Indian buffet. From there we did a caravan down to the "D". When we showed up the stage was empty and ready for us to load. We were set up in about 20 minutes and had about 40 minuted before we had to play. I was feeling very lucky to be performing with a musician of Samar Saha's stature. During the week he was telling me about some the venues he has played, Carnegie Hall, the Royal Albert Theater, the Kennedy Center, etc. I try not to let that kind of thing get to my head, but I can't help feeling honored to play with someone with such great experience and mastery of their instrument. It was rare at a festival of this size that we had so much time to set up, but it just so happened that the group before us was a community drumming group that was out in the crowd doing their thing. This gave us the run of the stage. An ideal situation.....but wait! As it got closer to showtime I noticed that the sound guy was having some major problems with the monitors, (those are the speakers the musicians use to hear each other on stage). There was no sound coming out! Now, for those of you who have never played on a stage with a big ol' sound system you must understand that no matter how loud and clear it might be out in the crowd, if you are on stage without monitors, the sound of the other musicians, mixed with the feint echo of the crowd P.A. drowns out your own sound and hearing becomes very difficult. So now it was 5 minutes before the show and we still did not have monitors. The band members were getting a little edgy and the sound guy was scurrying to get things working. It never did, so we had to do the show without the monitors. Everyone was experienced enough to be able to pull it off, but in the little amount of time we had, it was hard to get the sound troubles out of our sub-conscience, which left a residue of frustration in our minds once the show was over. The crowd seemed to enjoy it, so I was feeling pretty good about making it through, but it does go to show you that no matter how much time you spend preparing, you never know what you will have to overcome. The next day I was up in Fenton getting ready for a house concert featuring Samar Saha, his wife, Meeta Banerjee on sitar, and myself on tabla. It was at the Banerjee's house right on Lake Fenton. The audience was made up of friends of the family, and workshop students. It is such a treat to see Samarji perform up close and personal like this. Another bonus of the show, Meeta and I were joined by Samarji for our opening set of music. Playing drum set with Samarji is completely different than sitting with him on the tabla. I feel like a propeller plane trying to keep up with a Boeing 747. As I diligently sputter out my few compositions I know, Samar would answer with a flurry of beautifully delivered poetic statements that were clearly on a whole other level. Again, I feel honored and lucky. The second part of the show was Samarji and Madhumita performing some Dhuns and Bhajans, which are just two styles of Indian folk tunes. It made me wish I understood Bengali. The audience was made up of 90% Indians and they were very into the songs. They kept requesting more and more. I think she tried to stop about 4 times and they just kept asking for more. It was a very happy atmosphere. And her voice was sounding beautiful and clear, again, translations would have been nice. The last part of the show was Samarji's tabla solo. I found out right before the show that I would be playing the lehera on the harmonium along with Meeta on the sitar. The lehera is a melodic pattern that just keeps repeating, thereby keeping a steady rhythm for the drummer to play over. I was alright with it, although it did not allow me to focus on what he was playing as much as I had to focus on my steady rhythm, especially when it got going faster. It was great to play with him on yet another instrument, although I think I would rather stick to the drums. The days following were filled with nice long lessons with my Guruji. He taught me lots of things about my technique, and my approach to teaching tabla. He also recognized all the practicing I had been doing, and gave me inspiration to keep it up. Without any kind of plan or agenda, it always seems like my Guruji knows what areas need help and knows just how to push me in the right direction. I have said it before and I will say it again, I am honored to have Samar Saha as my teacher. Thank you Guruji! Samar left on Thursday for Chicago and I don't know when I will see him again. I hope it is soon. As it turns out, I was not the only one inspired by the weeks events. All the members of the Kirtan group that attended the workshop could not stop talking about it. We happened to have our monthly kirtan event that following Friday and it felt very good to be playing together after sharing the experiences of the week prior. In fact, it was so good that we went a whole half hour later than usual. That may not sound like much, but from my perspective playing tabla for 2 hours without a break is already pushing some limits, so a half hour more really put me into a whole new mindset. Somewhere between enlightenment and basic survival. It was a good thing, I think. I had the weekend to rest and take in everything that had just happened and I feel so good. As the summer winds down and I start looking to the future I feel refreshed and newly inspired to keep practicing. Thank you for reading, and I will write again soon.